Books will be available for pick up at either OLLI office. We will notify you when your book has arrived. 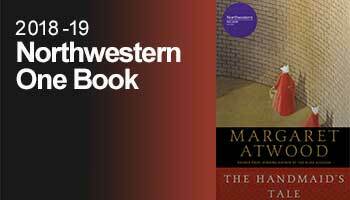 The book selected for One Book One Northwestern 2018-19 is The Handmaid's Tale by Margaret Atwood. It is a gripping and chillingly relevant vision of our society radically overturned by a theocratic revolution. One Book One Northwestern is a campus-wide reading program held at Northwestern University every year. In addition to campus-wide events, OLLI expands and supplements the program with events open to all OLLI members.